The following warranty terms and conditions apply only to applicable products as specified by Ingersoll Rand. The warranty terms and conditions below are customer’s exclusive remedies and Ingersoll Rand’s sole liability for any warranty claims. The Warranty Period (hereinafter defined) for any IQV12 or IQV20 Series tool , battery, or charger repair or replacement furnished to correct a warranty failure will be the unexpired term of the Warranty Period applicable to the repaired or replaced IQV12 or IQV20 series tools, battery or charger. Ingersoll Rand warrants the applicable IQV12 or IQV20 Series tool, battery*, and charger to be free of defects in material and workmanship, for a period of one (1) year from original date of purchase from Ingersoll Rand or an authorized Ingersoll Rand Distributor (the “Warranty Period”). If the applicable IQV12 or IQV20 Series tool, battery, or charger fails within the Warranty Period, the suspect component will be evaluated by an Ingersoll Rand certified Service Center. Ingersoll Rand will provide pre-paid postage and packaging if requested by the customer. Ingersoll Rand will replace without cost any applicable IQV12 or IQV20 Series tool, battery, or charger to be found defective in materials or workmanship, including shipping, parts and labor charges. Successive claims are subject to be repaired or replaced as determined by Ingersoll rand certified Service Center guidelines. This warranty does not cover damage from repairs, replacements, or adjustments made or attempted by anyone other than Ingersoll Rand certified Service Centers. The effects of abuse, normal wear and tear, improper maintenance, or accidents are specifically excluded. Ingersoll Rand warrants the IQV12 or IQV20 Series battery with an Ah rating of 2/4 or greater to be free from defects in material and workmanship, for a period of (2) years from original date of purchase** from Ingersoll rand or an authorized Ingersoll Rand Distributor (the “Warranty Period”). If the applicable IQV12 or IQV20 Series battery fails within the two (2) year warranty Period, the suspect component will be evaluated by an Ingersoll Rand certified Service Center. Ingersoll Rand will provide pre-paid postage and packaging if requested by the customer. Ingersoll Rand will replace without cost any applicable IQV12 or IQV20 Series battery to be found defective in materials or workmanship, including shipping, parts and labor charges. Successive claims are subject to be repaired or replaced as determined by Ingersoll Rand certified Service Center guidelines. This warranty does not cover damage from repairs, replacements, or adjustments made or attempted by anyone other than Ingersoll Rand certified Service Centers. The effects of abuse, normal wear and tear, improper maintenance, or accidents are specifically excluded. Ingersoll Rand warrants the IQV12 or IQV20 Series cordless tool and charger will be free of defects in material and workmanship for a period of three (3) years from the original date of purchase from Ingersoll Rand or an authorized Ingersoll Rand Distributor (the “Warranty Period”). 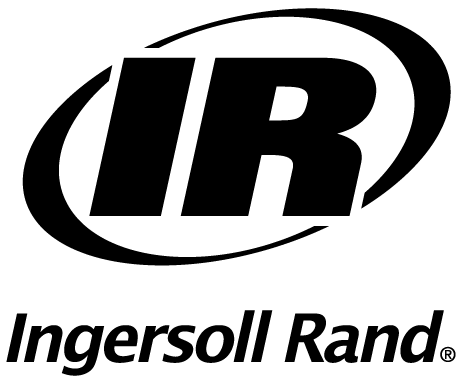 During this 3 Year Warranty Period, Ingersoll Rand will, at its option, repair or replace without cost any IQV12 or IQV20 Series tool or charger to be found defective in materials or workmanship after evaluation by an Ingersoll Rand certified Service Center, including shipping, parts and labor charges. This warranty does not cover damage from repairs, replacements, or adjustments made or attempted by anyone other than Ingersoll Rand certified Service Centers. The effects of abuse, normal wear and tear, improper maintenance, or accidents are specifically excluded. Ingersoll rand shall in no event be liable for any consequential, incidental, indirect, punitive or special damages. OTHER THAN AS SET FORTH ABOVE INGERSOLL RAND MAKES NO OTHER WARRANTY OR REPRESENTATION OF ANY KIND WHATSOEVER, EXPRESS OR IMPLIED, EXCEPT THAT OF TITLE, AND ALL IMPLIED WARRANTIES OR MERCHANBILITY AND FITNESS FOR A PARTICULAR PURPOSE ARE HEREBY DISCLAIMED. *Battery with less than 2.4Ah rating will be warranted for a period of one (1) year from the original date of purchase or 18 months from the date stamp on battery, whichever is later. **Battery with 2.4Ah rating or greater will be warranted for a period of two (2) years from the original date of purchase or 30 months from the date stamp on battery, whichever is later.